For years, the storage auction business went on with few changes. Auctions were small, and the idea of forming a resale business from the contents of abandoned storage units was something unheard of to all but a small group of sellers who found their niche doing exactly that. Opportunities spread by word of mouth and notices in the local paper, and resellers hawked their wares at flea markets or opened thrift stores to sell what they had found. All of this has only recently begun to change, and the changes are rapid enough to make today’s storage auction business almost unrecognizable to the professionals who have been doing it for a decade or more. 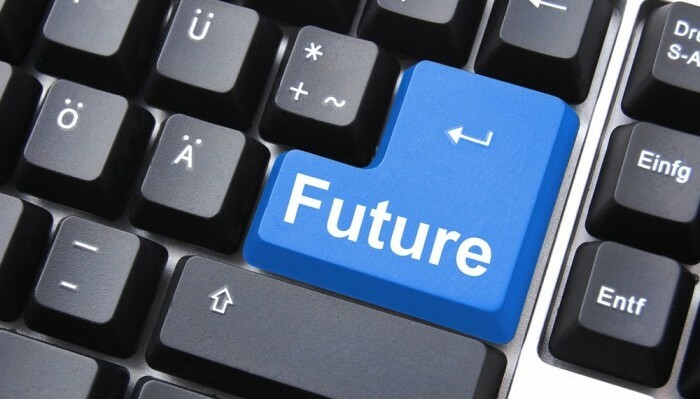 Today’s storage operators and resellers must understand the shifting landscape of technology and learn to apply these changes positively to their businesses or they will fall behind the curve of technological progress. 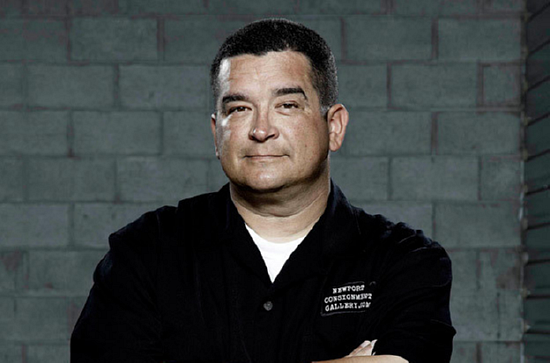 The changes started with the storage auction TV shows like Storage Wars and Auction Hunters. When they first came out, these programs showcased an exotic job that few people had heard of or thought to attempt. The initial draw was curiosity, and it worked: Soon they took off with huge popularity, and numerous spin-offs and similar programs were ordered to meet the sudden demand from viewers. But the novelty wasn’t what gave A&E’s Storage Wars its staying power; it was the seductive possibility of striking it rich by selling someone’s forgotten junk. So, like modern-day treasure hunters, scores of people who had never thought about storage auctions before were suddenly seeking out their local auctions, and the business was changed forever. While it’s certainly possible that the laws governing storage auctions might have changed to keep up with the times regardless, the waxing popularity of auction-hunting likely played a role in pushing these laws into compliance with modern-day lifestyles. For years, storage auction rules had lagged behind existing technology. Storage facilities were required to contact customers by certified letters, not email, to try and get delinquent payments. They had to post auction notices in newspapers, not websites. And the auctions themselves had to be held in a public location, not a virtual space. These laws had a crippling effect on the business as they severely limited the storage business’s ability to keep up with modern technology. The limits on online storage auctions in particular inconvenienced both storage facilities and auction bidders. Fortunately, recent changes in legislature have begun to turn this around. Although not all states have updated their lien laws relating to the way storage facilities must handle auctions, many states have changed the wording of these laws to make the use of technology more accessible: emails and online lien notices can be used, and many states have now relaxed the “public place” law to allow auctions to be held in virtual spaces. All of this is good news for storage facilities and great news for bidders. An online lien sale follows the format of successful auction sites like eBay and translates it to storage auctions. Sellers post photographs and a description of the unit’s contents, and buyers can bid on it from the comfort of their home. Depending on the site, they may have to pay a buyer’s premium if they win a unit; other sites, like OnlineStorageAuctions.com, are free to use, take no financial information and allow buyers to make payment arrangements with the storage facility afterward. Bidders can spend time thoroughly examining the contents of a unit, allowing them to research the items inside and make informed decisions about whether a purchase is worthwhile. Bidders can bid from the comfort of their homes or while on the road by using a mobile app. This allows them to participate in multiple auctions without losing time from their other activities, like manning a resale business. 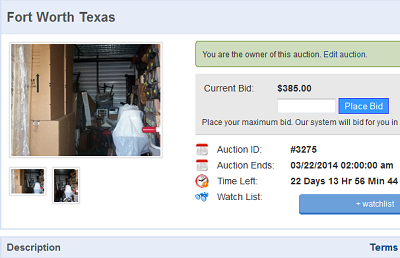 Online storage auctions tend to achieve higher profits than live auctions. One reason for this is that a long bidding time allows the bid to go higher than at a shorter live auction. Another reason is that bidding wars can get even more fierce over the internet. Auctions can be posted by anyone, not just facility owners. This means that renters can auction their own storage units as a solution to an impending lien sale. Auctioneers can also get in on the action by having their auctions online or even running virtual auctions alongside their live auctions. Online storage unit auctions have been gaining traction over the last few years, but recent changes in legislature are making them increasingly popular. As online auctions go from a dubious legal gray area to a popular option for buyers and sellers, they’re likely to take over an even larger share of the market. Ultimately, the buyers who adopt this technological change will be in a place to succeed as the incidence of live auctions shrinks or even disappears into obscurity. Please leave your creative thoughts in the comment box below. Great article Travis. Love what you guys are doing here, it’s a leap forward for the self-storage industry. I’m putting in a good word for you with upper management. Keep up the good work! I definitely appreciate the compliment and the referral to corporate. For storage facilities, selling your units on OnlineStorageAuctions.com is completely free. Why pay the other guys 10-15% to sell your unit? They’re not doing anything special for you, it’s your legal notice that’s bringing the buyers to your online auction.